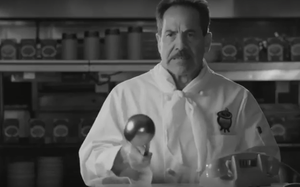 The Original Soupman is hoping people still remember the classic sitcom Seinfeld by relying heavily on the show for its new "Just Try It" ad campaign from creative and buying agency Digital.Mobile.Social. The creative centers around Larry Thomas, best known for his role as “The Soupman” on the TV series (“No soup for you!”) and his bumbling partner "The Publicist,” as they attempt to raise awareness for the soups. The first spot has the duo battling a girl selling lemonade in a suburban neighborhood for a jogger's attention before ending with the campaign tagline, "Just try it." The videos appear on The Original Soupman’s YouTube page, across all branded social media channels and on originalsoupman.com. New content is expected to be posted weekly. A partial debut is also set to air on the TV show "Modern Living With Kathy Ireland" in mid-September. 3 comments about "From 'No Soup For You' To 'Just Try It'". George Parker from Parker Consultants, August 27, 2018 at 11:15 a.m. He wasn't the "Soupman," he was the "Soup Nazi." David Scardino from TV & Film Content Development replied, August 27, 2018 at 11:20 a.m.
George, of course you're right. And this might be why Seinfeld no longer works colleges. Larissa Faw from Mediapost, August 27, 2018 at 11:43 a.m. Totally my fault as I was trying to be politically correct.